Literature recommendations from our very own writers. It's that time of year again! As has been the tradition for the last couple of years, we asked the writers we've featured over the past year to tell us their favorite poems, essays, fiction, books, and other literary endeavors by APIA artists. We believe that the APIA literary world is a community — and the best way to support each other is to read each other. So take a look and see who some our favorite writers recommend! Christine Ro wrote an essay in Catapult that captures some of my own frustrations and regrets about not speaking Korean, my native language. Perhaps because we’re both in a similar stage of life—caring for aging parents—the act of reading Ro’s essay felt like communing with someone deeply empathetic. When I finished Hanya Yanagihara’s A Little Life earlier this year, I was in the dumps for days, like I’d suddenly lost some very dear friends and I wanted to keep hanging out. 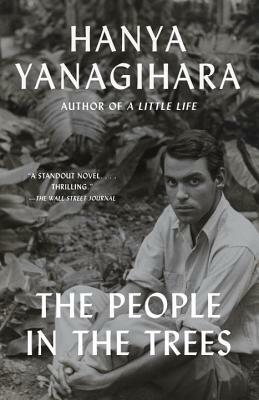 I picked up Yanagihara’s debut—The People in the Trees—knowing it was an entirely different kind of novel but found myself equally haunted by the end. Jane Wong | April: "The Deciphered World" and "I Slime"
I heard Che read this poem before it was published and I was immediately struck by its ending: "I should have left our names on that bridge. / My name, the names of my family, written there." Powerful histories, realities, daily reckonings with intergenerational trauma. I could quote every line - each image, each turn this poem makes, etc. So heartbreaking. 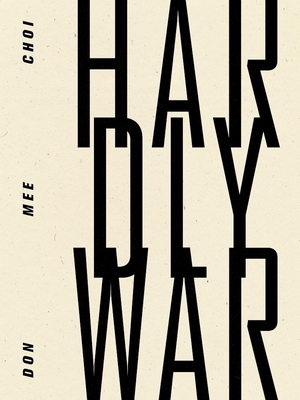 This book is stunning and terrifying - layered with the fragments of war (photographs, poems, musical scores, etc.) and haunting narratives of nationhood. I've been waiting for Choi's second book for years and this one made me cry. Shahé Mankerian | May: "Into the Snowy Woods"
A great poem should provide the reader goose bumps and golden lines. The Palestinian poet, Taha Muhammad Ali, delivers the goose bumps in Arabic. The English translation prolongs the goose bumps for months. The Israeli poet, Yehuda Amichai, counterbalances the pain that is felt in the poem "Revenge." Amichai provides the golden lines: "My father fought their war four years or so, / And did not hate or love his enemies." Luisa A. Igloria | July: "Invisibles"
in their relation to time...."
Just as swiftly, the poem's middle section gives us example after example of how art seems to forestall the inevitabilities of time: canvas after canvas of immortalized scenes. But the poem ends with a declaration of its (and the poet's) allegiance: to the mortal condition, to perishables; to things that come from and return to the dirt, like the potato the Child holds like a golden orb in his hand. 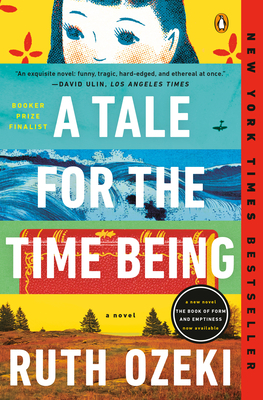 And I still can't get over Ruth Ozeki's A TALE FOR THE TIME BEING -- perhaps because I'm a sucker for writing with expansive scope and ambition, perhaps because I too am obsessed with the theme of time. In any case, I love the nested sets of narratives in this novel, and how Ozeki manages to remind us throughout of how language is the common technology that her characters utilize for navigating time and space and place. Jenny Xie | August: "The Fitting"
I learned about Gu Cheng, a Chinese modernist poet and member of the "Misty" school, through my dad only recently. He recited this poem to me in the car, and I was struck by the dreamy sadness of it as much as the realization that I don't know my dad as well as I thought. 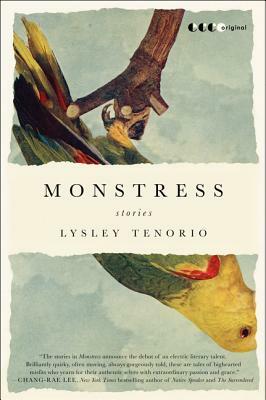 A book that has stayed with me is Lysley Tenorio's short story collection Monstress. His writing is both funny and profound, the situations his characters find themselves in by turns slapstick and heartbreaking. Amanda L. Andrei | October: "They Strike My Wings with Sticks"
I love Isabella Borgeson's spoken word poem, "Yolanda Winds," about Typhoon Yolanda which tore through the Philippines in 2013. Disasters are not single events--they are processes deeply interwoven into the global political, geographic, sociocultural, spiritual fabric of our diaspora--and the poem captures the intensity of the typhoon perfectly. 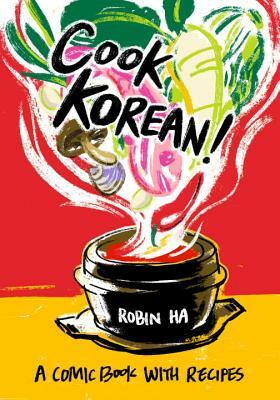 I love both graphic novels and cookbooks, and I love that this cookbook is sprinkled throughout with visual stories and moments that teach me about Korean culture and food. I've made some of the recipes in here, and they're incredibly delicious and accessible to foodies at any level. I’ve chosen images, with an introduction by the artist, Cambodian-American photographer, Pete Pin. The photographs are part of Pin’s profoundly moving long-term project, documenting the present day lives and communities of Cambodian refugees in the United States. More of his work can be seen in The New York Times. And also, although this is slightly outside to parameters of Hyphen Magazine, a link to Tash Aw’s essay, “A Stranger at the Family Table” in The New Yorker, part of the non-fiction series, The Face, published by Restless Books. 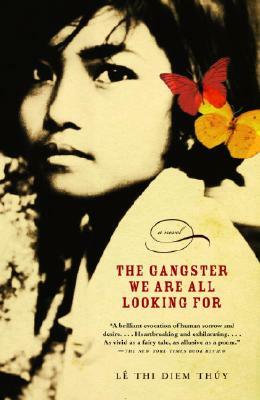 The Gangster We Are All Looking For, by lê thi diem thúy, has not only stayed with me since I first read it more than a decade ago, but expanded in my imagination. It’s a masterwork, full of devotion and love and broken glass. Esther Lin | December: "Everything Where It Belongs"
Hai-Dang Phan's poem "My Father’s 'Norton Introduction to Literature,' Third Edition (1981)" has received due accolades, so I want to praise "Watching World War Z," in Prelude. It's a chilling piece that compares a scene from the zombie apocalypse to the fall of Saigon. While it may seem hyperbolic, this metaphor rings true for any of us whose family survived or escaped mass violence. 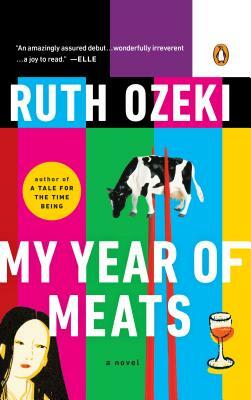 This past summer I read Ruth Ozeki's My Year of Meats, which is a heady, whip-smart treatment of capitalism; globalization; expectations made on Asian women, on Asian American women; forms of competency; and even more. I believe there is a serious misstep at the end of the novel, regarding minstrelsy, and yet it's also a fascinating miscalculation. Read more about Hyphen Lit Writers Recommend: 2016 Edition!